In the veterinary industry, we frequently talk about how our perception of which dog breeds display aggressive behaviors differs significantly from the general public’s perception. 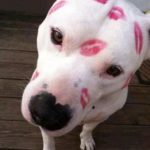 Consider the recent attempt to ban pit bulls in Montreal: this legislation was met with much public outcry and has recently been suspended, pending further review. Most of us who work with animals on a daily basis are outraged and confused when breed specific legislation is enacted. 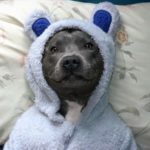 Banning specific dog breeds has been definitively disproven in reducing the frequency of dog bites. The point is, passing sweeping legislation about specific dog breeds does not make the public safer. And pit bulls are not the breed most frequently reported as perpetrating dog bites (German shepherds are). The reality is: any dog can bite and any dog can cause injury. Banning specific breeds does not prevent bites; better training might!